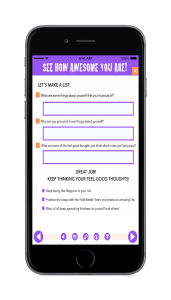 The APP for Taming Thought Monsters! 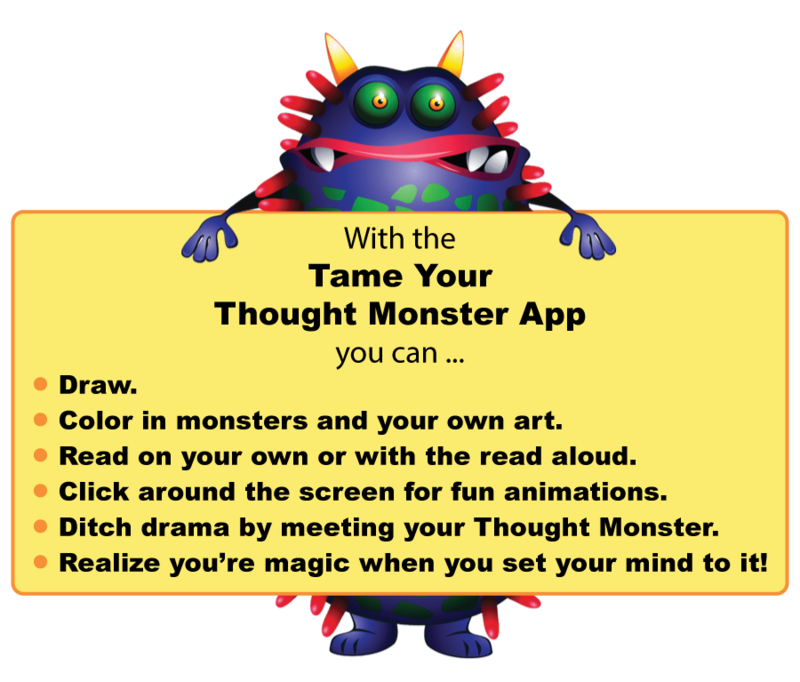 Get the Tame Your Thought Monster App! 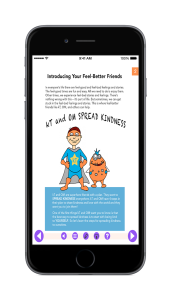 Enjoy fun characters and silly monsters which help kids to be more mindful, learn positive self talk, improve behavior, be more kind and feel better! 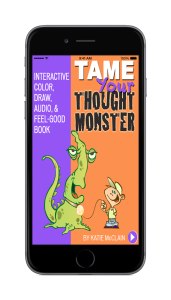 App & activity book with animated surprises, plus optional audio book for age 6+. Parents and teachers: Learning fun for family or in your classroom! 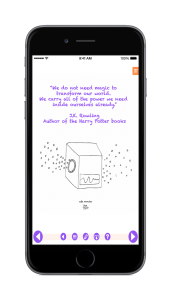 It’s an app inside a book with optional audio! 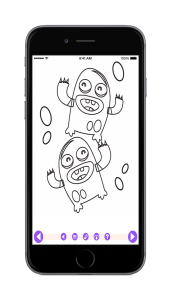 Kids can listen while drawing, coloring, and enjoying the animated surprises! meeting their very own Thought Monster! Works best on iPad, but also can be used on the iPhone.